Note that this is a FAN PAGE intended for people who already have the game. Do not ask me for link to download full game because I do not support piracy, go and buy it from stores or search yourself in torrent websites. Probably one of most played games today is Grand Theft Auto. 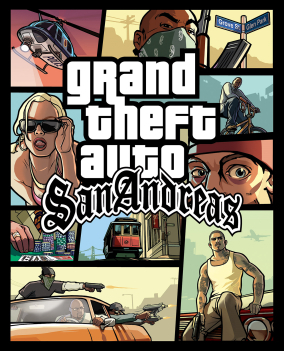 Although I do not like violent games, I still played Vice City and San Andreas around 2005-2007, more as a driving game, not shooting and killing as many is possible (as my friends were doing! ), but I also finished all missions of the story line. GTA Vice City mission tree, property list, weapons list, vehicle list with their top speed and other info. GTA San Andreas vehicle list with their top speed and other specs, mission tree, weapons. I left the world of gaming after 2007.